David joined Phillips Financial in 2016 as a paraplanner. He will be graduating in December, 2016 from the University of Saint Francis with a degree in business and a minor in finance. 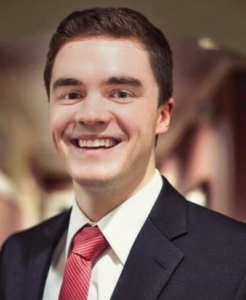 He is a co-founder of the finance and investment society at USF and served as student body president in high school. As a paraplanner, he works closely with financial planners to prepare investment reviews and financial plans for clients. David grew up in Fort Wayne, and went to Bishop Luers High School, where he met his wife Allie. They currently live in Decatur and are expecting their first child in January, 2017. David and Allie teach 7th grade Sunday school at St. Mary’s in Decatur, where they are members. In his spare time, David enjoys spending time with his family and friends, golfing, and watching/playing sports.